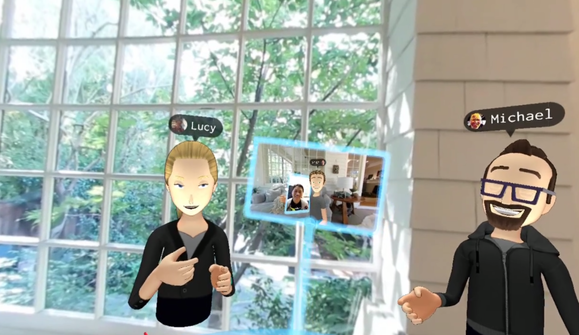 On October 6th, Facebook’s CEO Mark Zuckerberg presented the company’s new advancements in the field of Social VR. Facebook, which acquired Oculus Rift in 2014, has been working on a mind blowing creation which brings Virtual Reality to a next level. The avatars are able to show facial emotions, such as smiling, crying, being surprised and others. Therefore, this makes them look more authentic and human like. However, this is just the beginning. You are able now to share the same space with your colleagues, friends or family. In addition, you are able to be creative in VR: take selfies and upload them immediately on your Facebook account, paint, play, answer phone calls and communicate. Just imagine for a second how you could apply social VR in tourism. The possibilities are endless: sports events, concerts, conferences, travel planning and much more. Also, this might completely change our communication process. We eventually will be able to share the same space when talking to friends or family on the phone. Distance might not be a problem anymore. You may think that this cannot even be real. But guess what – it can! Our world has changed extremely in the last year. With the latest developments, and especially with the Pokémon Go entrance in the market, millions of people learned about Mixed and Augmented Reality. Furthermore, this enhanced everyone’s interest in Virtual Reality. Facebook’s new VR technology is a perfect example of how Internet pioneer and computer graphics guru Ivan Sutherland expects computer interfaces to look like. He stated that you shouldn’t think of a computer screen as a way to display information, but rather as a window into a virtual world that could eventually look real, sound real, move real, interact real, and feel real. One of Facebook’s next steps might be in creating the avatars that would look like a copy of us. The same facial expressions, real colors, movements as well as voice. I am convinced that many of you experienced that desire when talking to your family or friends on Skype. Your thoughts at some point were “It would be so great sharing the same space, or seeing what the other is seeing”. Honestly, somewhere deep down I always thought that this might be possible someday, and apparently this day begins now. Imagine you would be able to travel to New York City with your best friend, without visas or any restrictions. Being in real time in our dream city, seeing the people that are actually crossing those streets right now and not 3 months ago when that video was recorded. I think this is just incredible. This is a huge step that will change our way of communicating, traveling, living and seeing the world. Alina Lisnevska is a MA student at FH Salzburg enrolled in the “Innovation and Management in Tourism” programme. Currently working on a project about Virtual Reality with a particular focus on destinations and whether VR yields to higher conversion rates than conventional images. Passionate about innovations in the technology world and development of the tourism industry; believes in the power of community to generate mind-blowing ideas.